I thought I would take a break from my ancestors and research someone else’s lines. My husband, Jeff, has kindly let me “borrow” his Dutch ancestors. His paternal grandparents lived in Holland, Michigan (http://en.wikipedia.org/wiki/Holland,_Michigan), a town known for its Dutch heritage. Jeff’s grandmother was Cordelia Jekel (1892-1965). Cordelia, known as Cora, married Thaddeus Hadden in 1913. 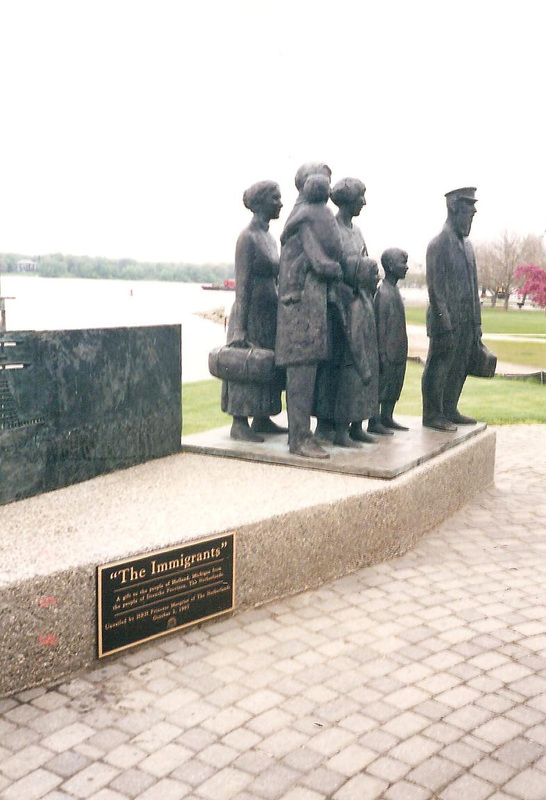 “Dutch Immigration to Eastern Michigan,” Michigan Genealogy on the Web, part of the USGenWeb Project, 2012. 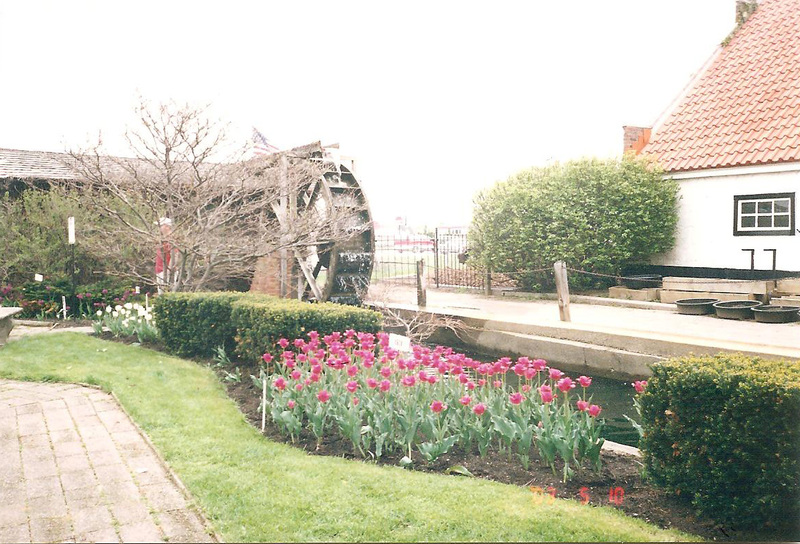 (http://www.mifamilyhistory.org/bay/Dutch_EasternMichigan.htm: accessed October 21, 2012). “Dutch Immigration,” Spartacus Educational Publishers, Ltd., (http://www.spartacus.schoolnet.co.uk/USAEholland.htm: accessed October 21, 2012). Robert P. Swierenga, "The Western Michigan Dutch,” Paper presented to the Holland Genealogical Society, Holland, Dec. 11, 2004, Robert P. Swierenga – Publications (http://www.swierenga.com/hgspap1204.html: accessed October 21, 2012). As I found this information I placed it into Family Tree Maker. Shaky leaves would appear giving me more leads. The first clue was from the Smith Family Tree. It showed Arie’s name as Arien van Greevengoed born 11 May 1820 in Putten, Gelderland, Netherlands and a death date of 3 Jan 1902 in Holland, Michigan. The birth and death dates and locations matched my research. The Smith Family Tree stated that Arie’s father was Hendrik Dirksen vanGrevengoed (1783-1857) and his mother was Steventje Herentje Ariens (1790-1876). (5) As I clicked on each of those names I came up with yet more ancestors. And even more after that. Good clues!! I continued on to the next shaky leaf. This was from the Grevengoed Family Tree. This too had Arie’s name as Arien van Greevengoed, and he was born in Putten. (6) Numerous ancestors were listed. The Ancestry shaky leaves are really helpful. They are not always accurate, but they can give you fabulous hints for further research. I've learned quite a bit about Jeff's Dutch ancestors today, and he is pleased that I helped him discover this information. 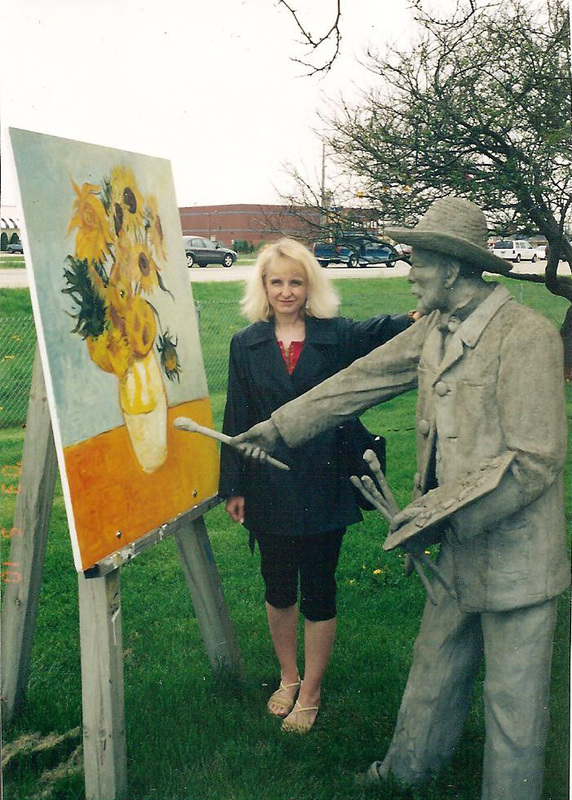 Here are some pictures from Holland, Michigan, taken a few years ago. (1) Burial Listing, 09/17/2010, Pilgrim Home Cemetery, City of Holland, Michigan (http://www.cityofholland.com/sites/default/files/fileattachments/Burial%20Listings%209-17-10.pdf: accessed October 21, 2012). (2) Ancestry.com. 1900 United States Federal Census [database on-line]. Provo, UT, USA: Ancestry.com Operations Inc, 2004. Year: 1900; Census Place: Holland Ward 3, Ottawa, Michigan; Roll: 738; Page: 13A; Enumeration District: 127; FHL microfilm: 1240738. (3) Ancestry.com. 1910 United States Federal Census [database on-line]. Provo, UT, USA: Ancestry.com Operations Inc, 2006. Year: 1910; Census Place: Holland Ward 3, Ottawa, Michigan; Roll: T624_670; Page: 18A; Enumeration District: 0161; Image: 116; FHL microfilm: 1374683. (4) Burial Listing, Pilgrim Home Cemetery. (5) Ancestry.com, Smith Family Tree, Owner sixvanx(http://trees.ancestry.com/tree/23739051/person/1969357457?ssrc=&ftm=1: accessed October 21, 2012). (6) Ancestry.com, Grevengoed Family Tree, Owner robertguyny64 (http://trees.ancestry.com/tree/25429258/person/1823299922?ssrc=&ftm=1: accessed October 21, 2012). (7) Ancestry.com, Pijll Family Tree, Owner Eugene van der Pijll (http://trees.ancestry.com/tree/16389757/person/371839642?ssrc=&ftm=1: accessed October 21, 2012. The second page even includes Arien's signature. The last sentence of the marriage record says that Coendertje and her parents were unable to write. Als, the marriage supplements (the documents that the bride and groom had to submit) are available, including the proof that Arien had fulfilled his military duties. If you check this page: https://familysearch.org/pal:/MM9.3.1/TH-1-16277-64689-4?cc=1831469&wc=10749145 you will find the document, including a physical description. It shows he was 1.58 meters tall (5'2"), with blue eyes and brown hair. He was not called to active duty. Military service was determined by lot, and he drew a high enough lot number that he did not have to serve. As we Dutch were (and are) excellent record keepers, there is a wealth of information out there. Feel free to contact me if you need professional assistance or check out my website at http://www.dutchgenealogy.nl for more information about emigration and Dutch genealogical research. Thanks, Yvette, for all the valuable information. I will pass it along to my husband and his siblings. I will also keep you in mind should we decide to explore the Dutch ancestors more completely. Familysearch.org is wonderful, isn’t it? In order to fully understand the documents, I need to review the Netherlands Language page located at https://www.familysearch.org/learn/wiki/en/Netherlands_Language_and_Languages. I learned about your blog via Jana's Genealogy and Family History Blog. I noted that both the surnames Hadden and Jekel have "relatives" in The Netherlands. Yvette already drew your attention to various research possibilities Being Dutch myself, I was very much interested. I also have a blog with many genealogical subjects. One of my posts shows a survey of foreign genealogical blogs/sites showing Dutch origin surnames. The URL is http://www.patmcast.blogspot.com/2012/05/dutch-ancestors.html. The idea is to try and establish contacts between people who have an interest in the same surname. There are numerous cases in The Netherlands where people emigrated centuries ago without leaving a trace in Dutch archives. With my blog I try to bring Dutch and foreign (mainly US/CAN) genealogists together. PS There is another post explaining the access to a large genealogical database. It is http://patmcast.blogspot.nl/2014/01/explaining-dutch-genealogical-database.html. Thanks for your message. Very interesting. I did not know that Hadden was a name popular in The Netherlands. I will have to tell my husband. His Hadden line came into the Westchester, New York area in the 1700s. I know there were many Dutch people in that area. You certainly have my permission to show my site on your blog. First of all let me apologize for calling you Lis, that was unintentional! I did not say Hadden was popular in Holland but in the database I mentioned there are 14 mentions of the name. The first one appears to refer to a 1832 marriage between a Dutch lady and an English gentleman from Hastings, England. His name was John Hadden Belsey. Also most of the others seem to have an English connection. But still, Dutch genealogists may be interested in this name. In any case I mentioned your blog in mine. If there is anything you want me to change or add, just let me know. Thanks, Peter. We believe Hadden to be an English name. I appreciate your mentioning my blog. Good luck to you also. SMITHS AND TAYLORS, OH MY!